All roads lead to Rome. 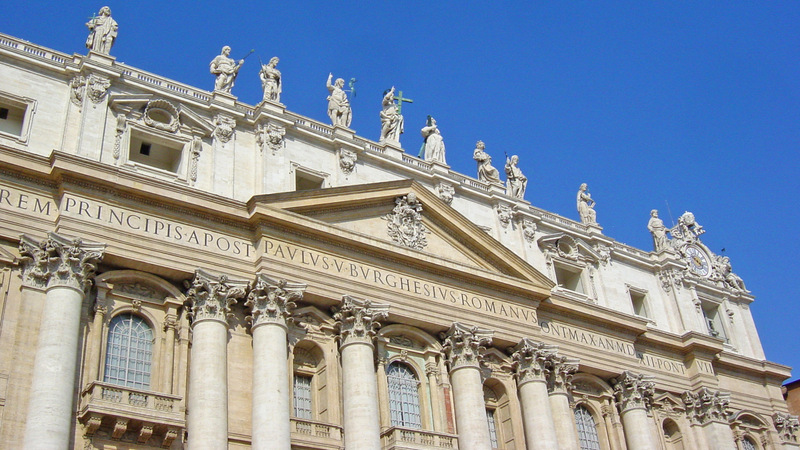 Brimming with ancient history, art, culture, stunning architecture, intrinsic beauty, distinctive old-world neighborhoods, and world-class shopping and dining, Rome is one of the word’s most popular destinations. Gastronomy is an integral aspect of both Roman life and tourism. 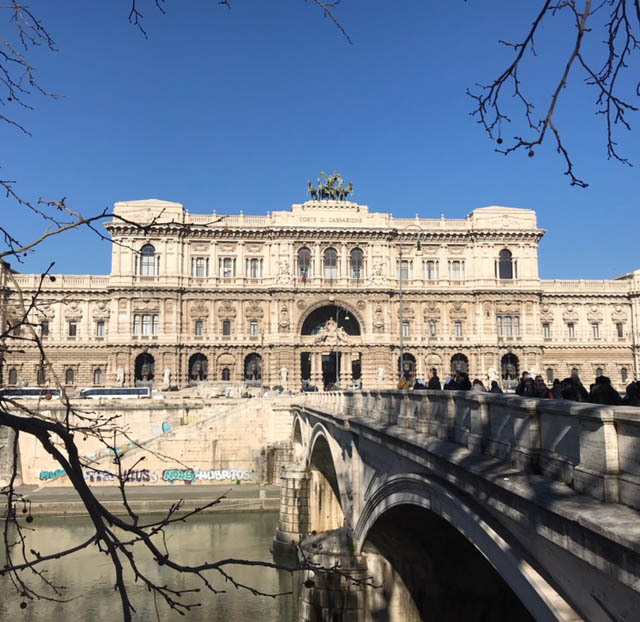 Below is a rudimentary guide to help you navigate the intricacies of cucina Romana if you only have a week or so to explore the Eternal City. Buon appetito! Pasta: The holy trinity, well, quartetto, of classical Roman pasta dishes that appear on nearly every menu in town consist of Carbonara (a relatively recent invention with somewhat vague origins dating back to about the mid-20th century), Cacio e Pepe (cheese and pepper emulsified with starchy pasta water), Amatriciana (tomatoes, guanciale, pecorino, and chile flakes typically served with bucatini), and Gricia (essentially carbonara without the egg). Americans are most familiar with carbonara, which, according to the first commandment of Roman cooking, shall NOT contain cream (say it with me: NO CREAM), butter, olive oil, onions, garlic, peas, parsley, chile flakes, bacon, or even pancetta. Purists-myself included-will only accept pasta (spaghetti, tonnarelli, bucatini, or rigatoni), tuorli d’uovo (egg yolks), guanciale (cured pork jowls), Pecorino Romano (sometimes blended with Parmigiano Reggiano to balance the assertive salinity of the sharp pecorino with the sweet nuttiness of parmigiano), and pepe nero (black pepper). Anything else is a mortal sin. You can’t throw a rock in Rome without hitting a restaurant that serves these four pastas, but you didn’t fly halfway across the globe for mediocrity when greatness is abound. An important staple of the Roman diet once reserved for poverty-stricken Jews in the 16th-century, no meal is complete without carciofi (artichokes), whether sautéed and served in a pool of olive oil alla Romana, fried to a crisp alla Giudia (Jewish-style), or mixed with fettucine, guanciale, and pecorino. Yes, there are other vegetables, and Romans have a knack for cooking vegetables so long, the nutrients are taken out. Try ciccoria (sautéed chicory) and, seasonally, fiori di zucca (fried zucchini blossoms). Quintessential secondi piatti (main courses) include Saltimbocca (veal scallopini sautéed in butter and wine topped with sage and prosciutto that literally translates to “jumps into your mouth”), Abbachio alla Scottadito (literal translation: lamb chops so good you can’t wait to eat them, so you “burn your fingers”), and Filetti di Baccalà Fritti (fried salted cod). Italian fare is very regional-if you are looking for Tagliatelle alla Bolognese outside of Bologna, Pizza alla Napoletana outside of Naples, and Bistecca alla Fiorentina outside of Florence, you will find outstanding examples all over Italy these days, especially in metropolitan cities like Rome, Naples, Florence, and Milan, but this guide largely focuses on Roman cuisine. In the States, we are accustomed to Italian restaurants serving multi-regional (and multi-seasonal) cuisine—Caponata di Melanzane in a Venetian restaurant, Risotto alla Milanese at a Campagnan joint, and Insalata Caprese in December. In the old country, regional cookery with simple, local, seasonal, sustainably-farmed ingredients is still a way of life. And unlike in Brooklyn, they don’t constantly have to tell you about it; it’s just understood. 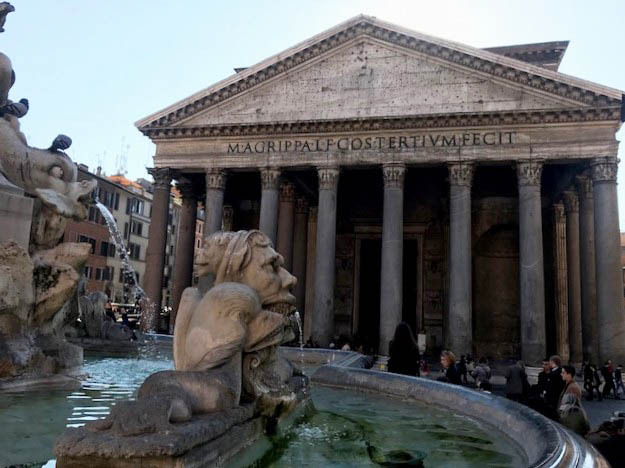 With Roman-centric restaurants like Lupa and Maialino thriving in New York and crowd-pleasing Roman pasta dishes making their way onto menus worldwide, Roman cuisine is quickly gaining international prominence. Because Italians migrated to America from Southern Italy en masse around the turn of the century, namely from Naples, Calabria, and Sicily, Southern Italian cuisine, in many people’s minds, was synonymous with Italian food as a whole for a lengthy period of time, and other regional styles, including Roman, were left in the old country. And at some point between the iconic 1995 Seinfeld episode involving an erroneous region-wide real estate shortage and the release of Under the Tuscan Sun and Eat, Pray, Love, everything relating to Tuscany became de rigueur stateside, from cooking techniques to wine consumption to home décor. Describing anything as “Tuscan” evokes imagery of sipping Brunello di Montalcino and snacking on olives and Pecorino Toscana under a fig tree on the terracotta terrace of a rustic villa in the pastoral countryside as the sun gently descends into the rolling hills. 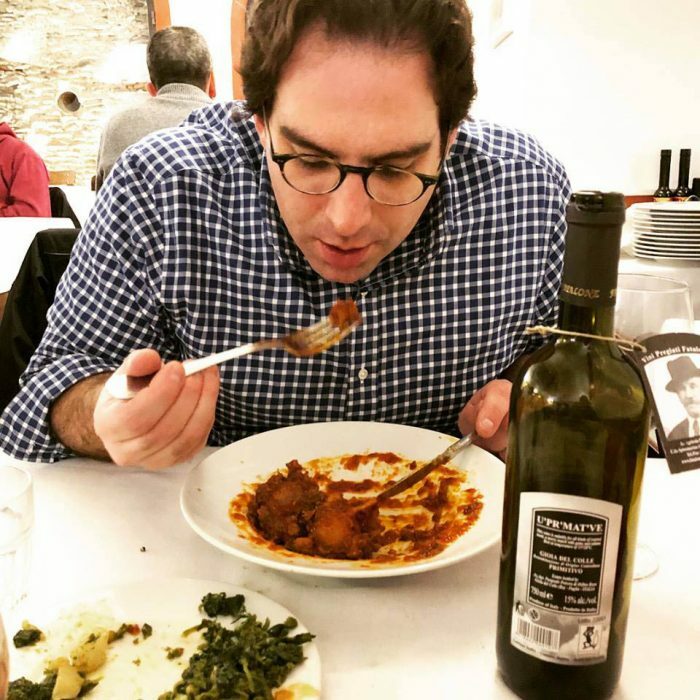 As palates become more refined, more nuanced Northern Italian cooking from regions such as Emilia-Romagna (Italy’s “food basket’) and Piemonte has become trendy among Americans who eschew the less sophisticated “red sauce” offerings of Southern Italy. The terroir of Lazio has not historically been conducive to successful wine production, but that has been changing in recent years. And where better to sample Lazian wines than in Rome? Admittedly, Italy’s leading wines are still being produced in Tuscany, Piedmont, and Lombardy. Throughout the city, wine menus are diverse, running the gamut from the top of the boot to the heel and everywhere in between (along with Sicily and Sardinia). When in doubt, remember the Mediterranean mantra: If it grows together, it goes together. Respect the structure of the typical Italian meal and make your way through all the courses—you’ll walk it off later. Begin with an aperitivo, order antipasto, primo, secondo, contorno, dolce, caffé, and, finally, a digestivo. Digestion is an obsession of Italians, and dairy is treated delicately, which is partly why it’s considered a cardinal sin throughout the country to add cheese to seafood and consume cappuccino after 11:00 am. While service is often professional and cordial, don’t expect a perky waitress to swing by your table to get y’all started with a round of margaritas and jalapeno poppers the moment you sit down and refill your Diet Coke every five minutes. Order as many dishes as possible and share with your dining companion(s). Drink wine and bottled mineral water (still or with “gas”) with your meals. Not that the tap water isn’t potable—it’s fine—it’s just that bottled water enhances the meal and adds decorum to your table. Dining quarters are often intimate-make acquaintance with your neighbors if you happen to be sharing a table. Begin your day with a light breakfast—a cornetto (croissant) and a cappuccino (your first and only of the day) or espresso. Maybe pack an arancia rossa (blood orange) for later. Take your caffé in piedi (standing) at the bar—you’ll pay less and mix with the locals—or, in nice weather, all’aperto (outdoors). Nary a Starbucks in sight, you won’t see harried Romans rushing down the street clutching their venti soy lattes on their way to work. Indulge in a multi-course lunch—you won’t be eating again until at least 9:00 or 9:30 pm, and you’re not in tapas-centric Barcelona. It goes without saying (in every tourist destination worldwide), but steer clear of restaurants with dedicated tourist menus and any place where a host stands outside beckoning you to come in; somehow, they still manage to fill seats in these establishments. Don’t just go by guides and recommendations from your friends, talk to the locals and discover your own favorites. 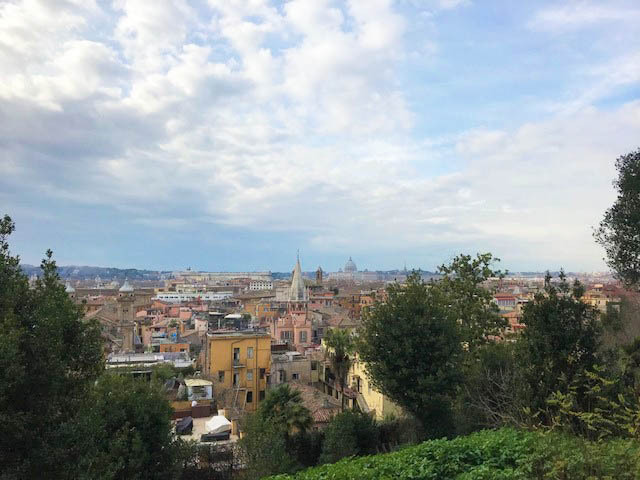 Chances are you’ve been to Rome at least once—try new places this time around. Explore unknown residential sections of town to see how locals really live. Ride the metro, visit a local grocery store, a farmacia, and a tabaccheria. Even though English is spoken by nearly everyone in the city, try to speak a little Italian even if it’s just buongiorno, buona sera, per favore, and grazie. Show your appreciation by leaving a gratuity—10% should suffice in most instances. A little goes a long way. If you’re English-speaking, locals will often peg you as British—go with it. Or pretend to be Canadian. Anything but American these days. (New Yorkers seem to get a pass.) We were even accosted by two separate panhandlers outside the Colosseum inquiring if we were African, presumably South African, in an effort to sell us bracelets(?). To bypass crowds and aggravation at major attractions and monuments and bask in temperate weather, the period between late-fall and early-spring is an ideal time to explore this vibrant city. If you only have time for one meal in Rome—and what a shame that would be—dine at Roscioli, a salumeria selling a vast array of salumi, formaggi, pastas, and jarred specialties doubling as a bustling trattoria. 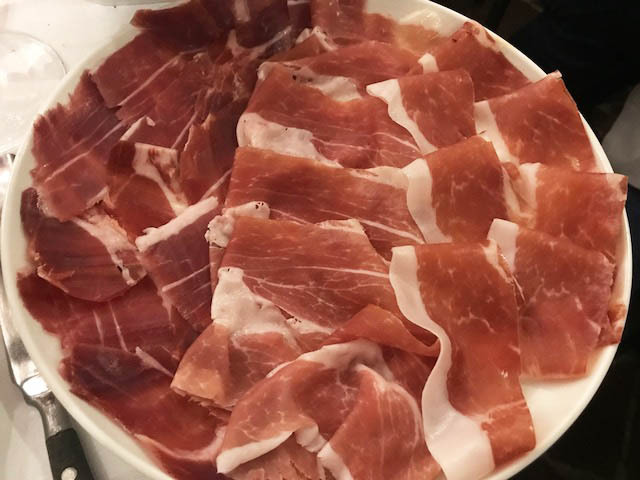 You can certainly make an entire meal out of the vast selection of antipasti, namely the hams (a dizzying array of Italian prosciutti and Spanish jamón) and an impressive variety of cheeses. If the Vatican and all the sacred basilicas you’ve explored so far aren’t enough to restore your faith in God, the explosively creamy burrata and pillowy Mozzarella di Bufala at Roscioli will. That said, if you overindulge in antipasti, you won’t have room for their masterful carbonara. Creamy, salty, unctuous, piquant, this dish has it all. My wife generally prefers pancetta (blasphemy!) in her carbonara, but the shatteringly crispy guanciale served here made her a guanciale disciple. Learn how to prepare your own with this video. In addition to the usual suspects, the eclectic menu showcases items as diverse as foie gras, pigeon, and, believe it or not, hamburgers. Seafood is not as prevalent in Rome as it is in coastal communities, but Roscioli offers a fair selection, including a variety of crudo (raw fish), oysters, salmon, calamari, tuna, anchovies, and sardines. We shared flavorful grilled calamari stuffed with a tabbouleh-like filling and drizzled with its own ink. In fact, order anything on the inventive menu and you’ll be satisfied. Roscioli also features an encyclopedic wine list of 2800+ international labels and a list of amari to sip after your ethereal tiramisu. A sommelier is available upon request to help you navigate the overwhelming wine list. N.B. Another restaurant with an enviable wine list is Enoteca Ferrara in Trastevere. After dinner, take a moonlit stroll around Piazza Navona and Fontana di Trevi (during the day, the crowds at the fountain are unbearable regardless of the season) before turning in for the night. If you’re looking for the hippest, liveliest Roman trattoria, this is not it. The lights are just a bit too bright, the tables too far apart, the décor too dated, music too hushed, and the name too long. Our waiter was aloof and distant, but it didn’t matter—you’re here for the rustic, straightforward Roman comfort food—soul food, if you will. I may have enjoyed this meal more than any others during the trip—and maybe my entire life. We opened with Stracciatella di Burrata con Alici (stracciatella topped with anchovies) and a plate of Prosciutto di Parma before our al dente Rigatoni alla Gricia and delightful Fettuccine con carciofi, guanciale e pecorino (artichokes, pork cheek, and pecorino). Their carbonara and cacio e pepe are also highly-regarded. Moving along, the most extraordinary secondo of all is Coda alla Vaccinara. A symphony of flavors, textures, and aromas, the succulent oxtail effortlessly falls off the bone and is complemented by the rich, slow-simmered umami-packed tomato sauce and tied together by the sweetness of the celery. In my mind, the dish exceeds the bone marrow at L’Atelier de Joel Robuchon, the 100 layer lasagne at Del Posto, the mutton chop at Keen’s, and the bacon at Peter Luger. In the off-chance that I ever find myself on death row, this could very well be my requested secondo piatto. And, hell, the fettuccine with artichokes might be my primo, depending on my mood. So absorbed in my oxtail was I, I didn’t even help myself to any too much of my wife’s Ossobuco con Piselli (veal shanks with peas)—besides, I had already had ossobuco for lunch. A contorno of rapini (broccoli rabe) was cooked way past done, and while overcooked broccoli rabe is usually the best kind, they pushed the envelope here. Dolce seems like an afterthought—semifreddo cioccolata was tasty, but unremarkable. Trippa alla Romano (tripe in tomato sauce with mint and pecorino) along with Rigatoni con la Pajata are also on offer, both of which I plan on ordering on my next visit. N.B. Their sister restaurant, Velavevodetto ai Quiriti, is located at Piazza dei Quiriti. 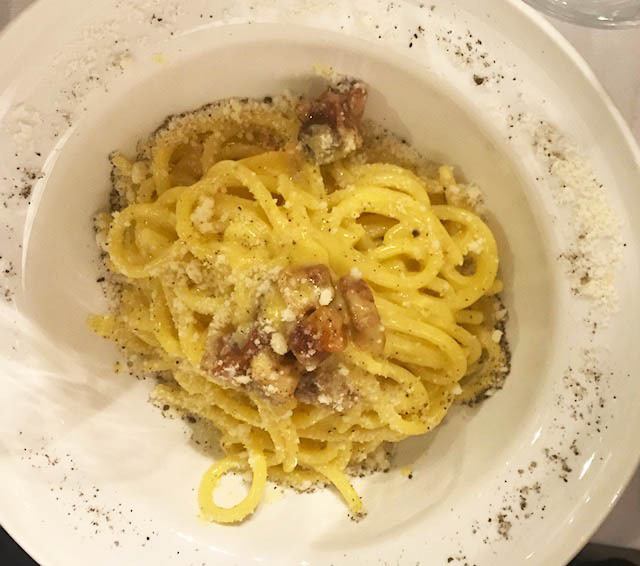 Regrettably, we were unable to make it to nearby Felice a Testaccio, an institution dating back to 1936 where the cacio e pepe is famously prepared tableside. Yet another reason to return to Rome. According to a 2010 episode of No Reservations, the cacio e pepe at Roma Sparita should be illegal somewhere. Following a morning Vatican tour, we took a 10-minute taxi ride over to the trendy Trastevere neighborhood to decidedly untrendy Roma Sparita, expecting hordes of American, British, and German tourists (as Anthony Bourdain had predicted if the location were revealed, which didn’t take very long after the show aired), only to be pleasantly surprised to find local businesspeople leisurely savoring multi-course lunches. My wife and I had been sharing most dishes so far during our trip, but Roma Sparita’s cacio e pepe, served in a parmesan bowl is too good to share. How such simple ingredients—tonnarelli pasta, Pecorino Romano (not a modest amount by any stretch of the imagination), butter (not necessarily traditional, but we’ll let this one slide), cracked black pepper, and pasta water-can turn into something into such a magnificently delicious dish represents the essence of Roman cooking. For antipasti, we sampled Fiori di Zucca Fritti (stuffed fried zucchini flowers) in a light, almost tempura-like batter, fried olives, and, whether you initially order it or not, the waiter will insist on bringing a carciofo alla Giudia (crispy artichoke), which proved to be one of the finest of the many artichokes consumed over the course of our trip. 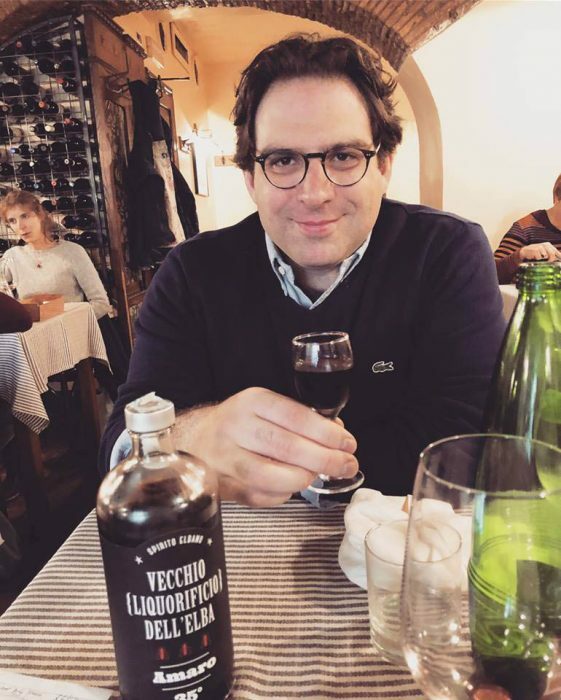 An espresso followed by an amaro is necessary to punctuate the meal and prepare you for a walk around Trastevere, which can be described as a Medieval version of Bushwick. 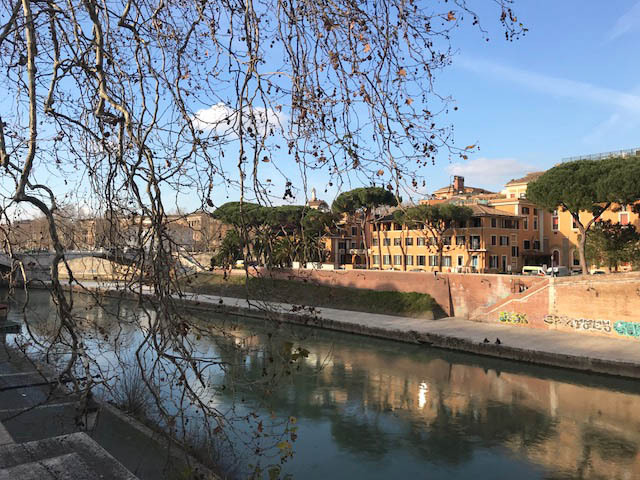 Grab a gelato at Fior di Luna and stroll along the river at sunset to complete the afternoon. Lively and boisterous, watch the cooks ply their craft through the translucent window into the kitchen. If you haven’t indulged in enough pasta already, go ahead and get the classic pasta dishes, naturally served with heaping amounts of cheese. 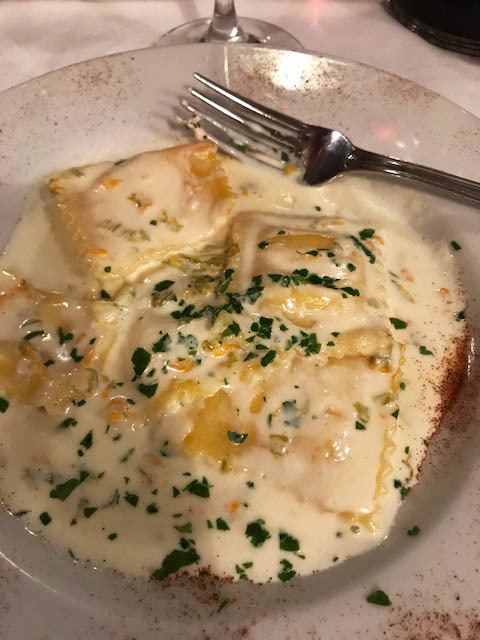 In a daring move, we veered off course and ordered ravioli in a creamy saffron sauce for our primo along with Scottadito and Saltimbocca for secondi. And, rejoice, this is one of the few restaurants that actually adds some sort of vegetation to your plate. Portions are robust, and they are more than happy to split the pastas for you. A large carafe of very drinkable house wine ran only about €10. The crowd encompasses all ages from millennials to middle-aged couples to multigenerational families being treated to dinner by Nonno. Tucked away in a graffiti-plagued storefront off the beaten path in the San Lorenzo neighborhood (take an Uber), it doesn’t seem as though much has changed since this osteria opened its doors a half century ago. My father and I dined at this restaurant in 2000, and I can remember the meal in detail nearly 20 years later. We were not presented with menus, but rather a cornucopia of antipasti, followed by a trio of pastas, and a flawlessly-executed ossobuco. The bill, only about 100,000 lire (about $60 at the time)—was not itemized. The restaurant still receives rave reviews. Fiaschetteria has nothing to do with fish—that would be pesce—it refers to the flasks that wine was once poured from. This cozy, informal family owned and operated trattoria is smack dab in the middle of the upscale shopping district near Piazza di Spagna, a few short blocks from our hotel, Crossing Condotti. If you don’t have a reservation, you’ll wait a few minutes for a table, and you may need to share a table with strangers—we wound up meeting a lovely couple from Vancouver and exchanging contact information. Service is a brusque at first, but once you settle in, you will be treated well. Homemade Taglierni al Tartufo Nero (fresh taglierni with shaved black truffles) was the showstopper here. You can get better Saltimbocca in New York. For dessert, the ricotta cheesecake is recommended, as is the heavenly tiramisu with pistacchio crema. And if the waiter takes a liking to you, you’ll end your meal with a limoncello or Frangelico gratuito. Conveniently located in the heart of Campo dei Fiori is this charmingly cozy trattoria where the pasta is homemade and the service is warm and convivial. We came for lunch after touring the Pantheon and enjoyed the ossobuco special along with an interesting ravioli in a subtle chocolate sauce (and carciofi, of course). Pastas brought to other tables looked divine, as did Maialino al Forno (roast suckling pig). When you order an amaro, the waiter will leave the bottle on your table for you to help yourself. 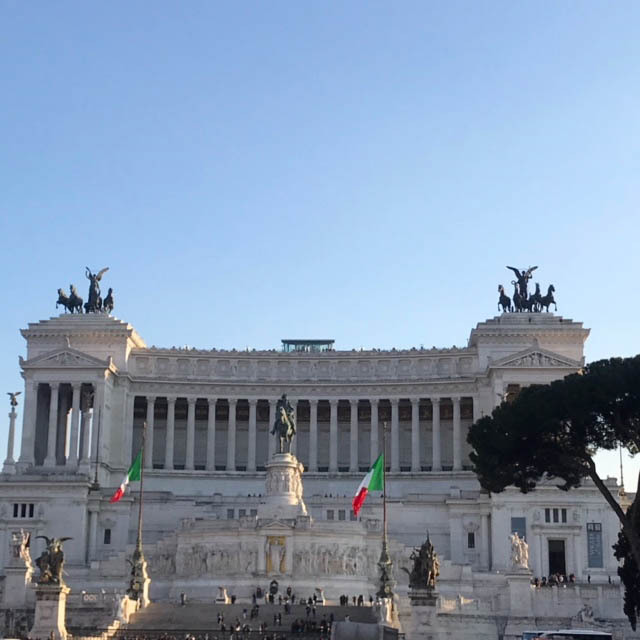 At dusk, climb the Spanish Steps (do not purchase a rose or accept a free rose) and wander through Villa Borghese Gardens. Afterwards, stop at Hotel Raphaël for an aperitivo at the Terrace, a rooftop garden with panoramic views that stretch across the city. We didn’t stay for dinner, but if you do, prepare for an extravagant meal. For a splurge, reserve a stay in one of the hotel’s opulent guest rooms. A tiny, rustic osteria near the pantheon serving up all the classics. This is the high-end restaurant where James Gandolfini enjoyed his final meal, feasting on fried prawns and foie gras before suffering an untimely death. Our hotel’s concierge recommended this Trastevere taverna. Trilussa is renowned for its house-made pastas served in steel pans. 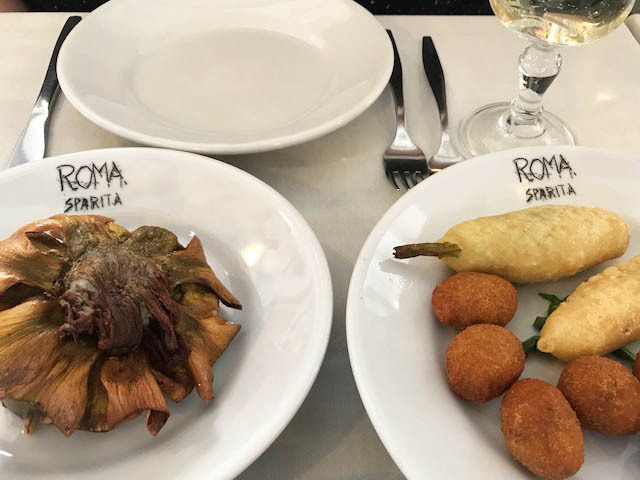 Our attempt to dine at this no-frills trattoria-pizzeria near Piazza di Spagna proved unsuccessful, as they are closed on Thursdays, but we hear it’s worth trying out. Specializing in Mediterranean seafood with a contemporary twist, this elegant restaurant has been serving fashionable Romans for several decades. Reserve a table at Rome’s sole three Michelin star restaurant at the palatial Rome Cavalieri Waldorf and opt for the nine-course tasting menu for a memorable romantic evening. 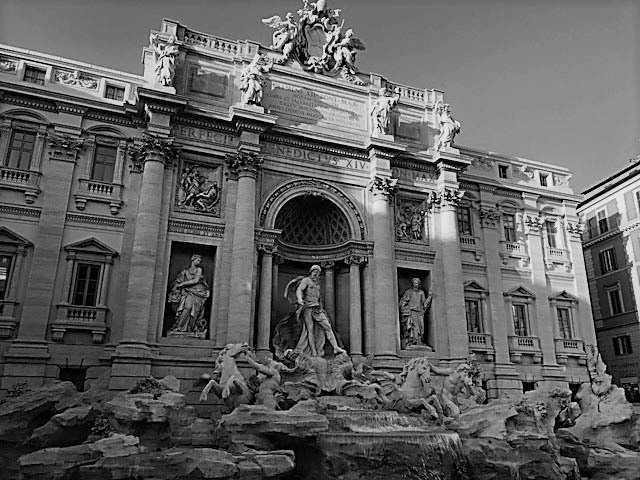 Steps from the Trevi Fountain is one of Rome’s most historic restaurants. The setting is formal, yet cozy with wood paneling and white tablecloths, and the menu focuses on traditional dishes with an emphasis on mushrooms in autumn. Amidst the luxury retailers lining Via dei Condotti is the oldest café in Rome, dating back to 1760. 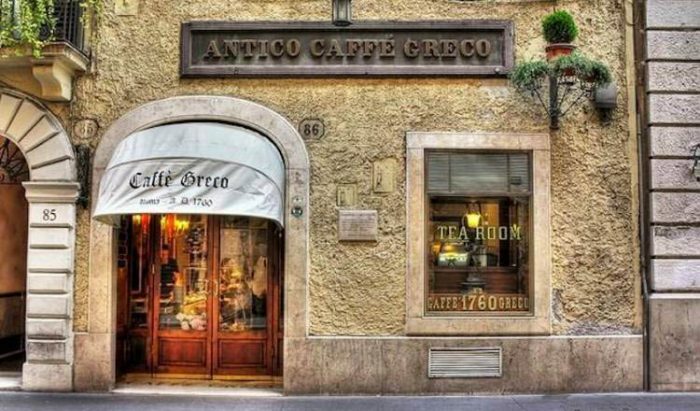 Once a hangout for artists and intellectuals, Antico Caffé Greco remains an elegant stop for gourmet coffee. The ornate space is lined with oil paintings, gilt mirrors, and an abundance of red velvet. Prices are commensurate with the lavish ambiance. For something more accessible, make your way over to the small, unassuming Sant’Eustacchio il Caffé, which is believed by many to serve the best coffee and pastries in the city. A sflogliatelle and a cappuccino makes for the perfect breakfast to gear up for a long day of sightseeing. Bring a few bags of coffee home with you. 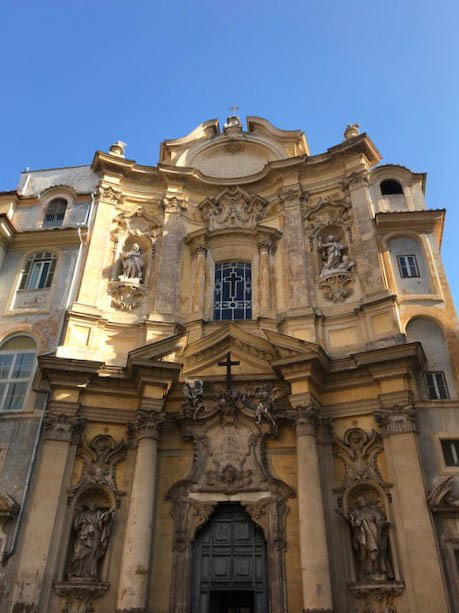 If you’re early for your Vatican tour (to circumvent infuriatingly long lines, we recommend booking a private or small-group tour with City Wonders through Dark Rome, pop in Il Sorpasso, for an espresso. Or drop by afterwards for lunch and a glass of vino or two. This popular daytime café, bistro, and gelateria in Piazza San Lorenzo established in 1941 is noted for its handmade artisan gelato. Try the nocciola, crema di cioccolata. zabaglione, pistacchio, and stracciatella. Divinity in a cup. In the heart of the Jewish Ghetto, this historic kosher bakery sells traditional Roman-Jewish sweets, such as pizza ebraica—a fruit cake made of almond flour studded with nuts, raisins, and candied fruits along with a delectable ricotta and sour cherry tart. Their amaretti cookies and almond biscotti are also prized. We happened upon this salumeria after perusing the Campo dei Fiori Market (and being somewhat disappointed with the selection and pushiness of the vendors). Welcome to the mecca of salumi. From acorn-fed wild boar prosciutto to white truffle salami, Viola has offered an exhaustive library of carefully-curated meats from up and down the boot since 1890. Take advantage of their worldwide shipping program-better to be safe than sorry when your pricey, hard-to-find Lardo d’asto gets discovered by Waldo, the charcuterie-sniffing dog at Newark Airport, and winds up in the incinerator. On the opposite side of the square is Salsamenteria Ruggeri, a delicatessen carrying a wide variety of meats, cheeses, wines, pastas, olive oils, tapenades, and more. If you reach the end of your trip and panic because you’ve failed to purchase enough souvenirs, the duty-free shop at Fiumicino Airport is exceptional, and there is a panoply of designer retailers within the international terminal in case you missed out on Via dei Condotti. 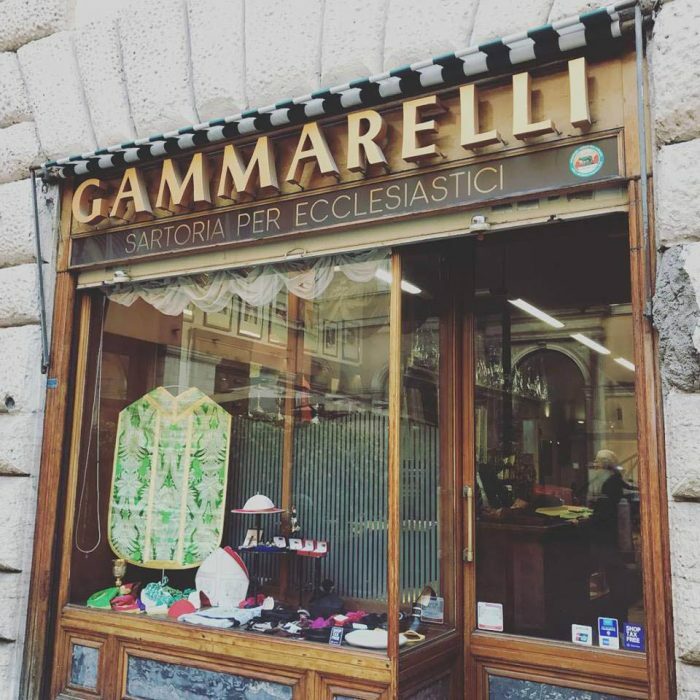 For a unique memento that isn’t food-related, visit Gammarelli before or after touring the Pantheon for a pair of papal socks. This ecclesiastical clothier has been outfitting priests, bishops, cardinals, and, with the exception of Pope Benedict XVI, popes, for over 200 years. The socks are fitted to size and available in three colors-priest black, bishop purple, and cardinal red (get one of each) and constructed from either Merino wool or high-quality long-fibred cotton, available in short (which is long enough) or knee-high. The Pope wears white, which is only available upon special request—and I’m guessing his are of the woolen, knee-high variety. When I first learned of these socks, I was under the impression that they were some cheap polyblend socks with the pope’s face on them being hawked in a gift shop at the Vatican, but these really are the socks worn by the Pope. N.B. Show some reverence and refrain from wearing shorts in this shop, especially if clergy are present—in fact, don’t wear shorts at all in Rome—and, for the love of all things sacred, no selfies. 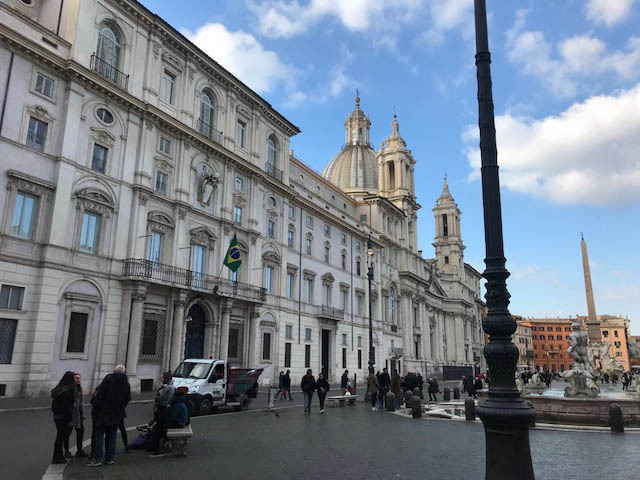 One could spend years exploring the city of Rome, visiting restaurants, cafes, shops, museums, and basilicas and getting lost in the labyrinth of cobblestone streets whilst admiring breathtaking architecture at every turn. My compilation doesn’t even scratch the surface. The sights, sounds, tastes, and scents of the city are intoxicating, and you will wish to return again and again. Ciao! 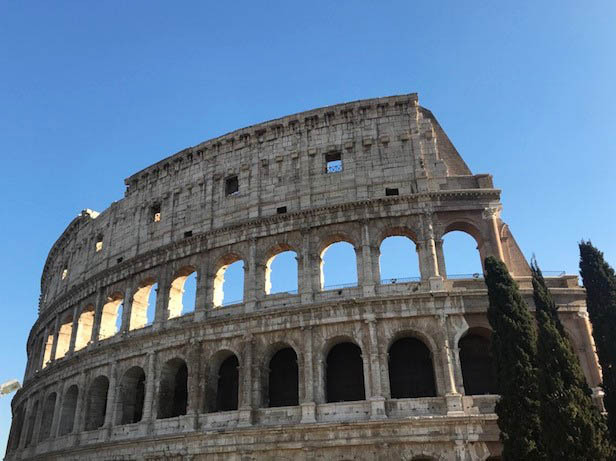 Special thanks to my wife, Laura, for surprising me on Christmas morning with a trip to Rome and to our dear friend, Gwen, for making our vacation memorable by sharing a wealth of information with us.